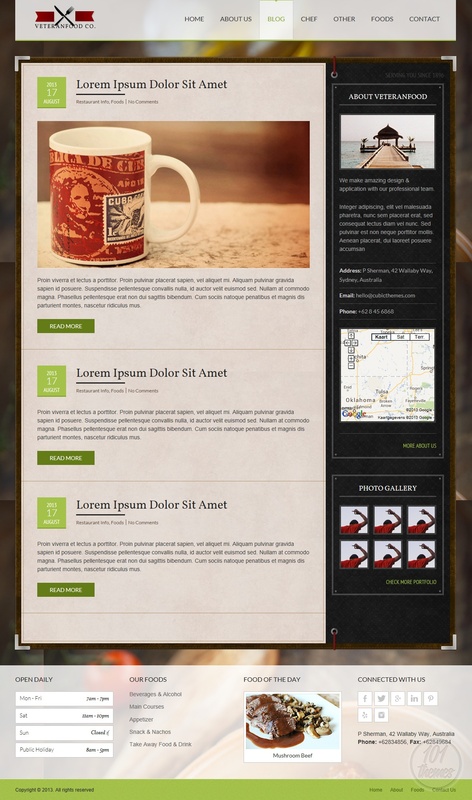 Veteranfood is a responsive HTML restaurant template created by Cubic Themes and featured at ThemeForest. The template looks very unusual and attractive. There is a vintage and classic feel to this template and it is going to fit any restaurant niche. It is very easy to edit, and you will be able to choose between a light and dark variation of the layout, which makes this template even more adjustable. The homepage features a nice full screen photo in the background and interesting content boxes. 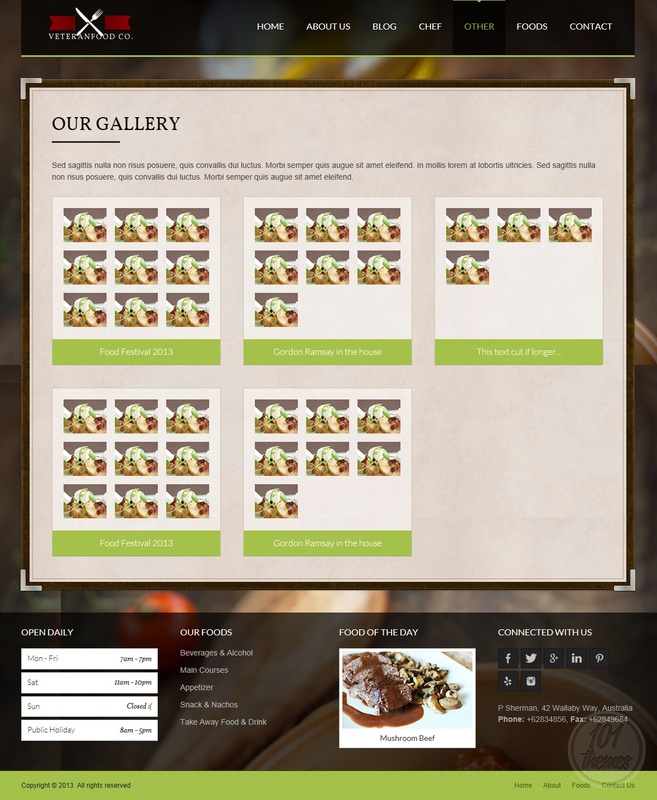 There is a nice slider featured where you can present the most remarkable items from your delicious palette of meals and you can tell your visitors a little something about your cuisine. A nice welcoming note or a catchy phrase can be added under this slider, and your opening hours can be displayed here as well. Another slider was added for presenting your restaurant to your visitors, introducing them to your staff or to the history of your restaurant. Either way, your guests are going to love this gesture. 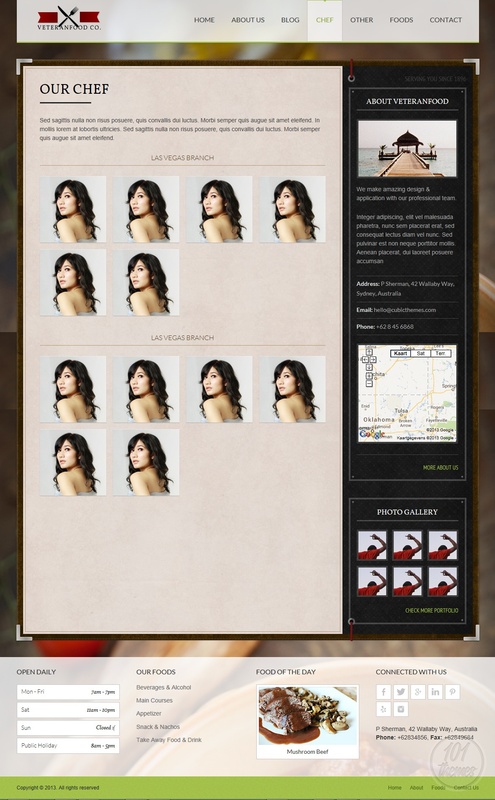 You can also feature your daily special meal with a resized photo and place it on your homepage. Social integration buttons are included on the homepage as well, and they will let you connect to all of the most popular social networks. The menu can be shown as a food card or a food list, whichever you prefer. They both look great, very well organized and really attractive. 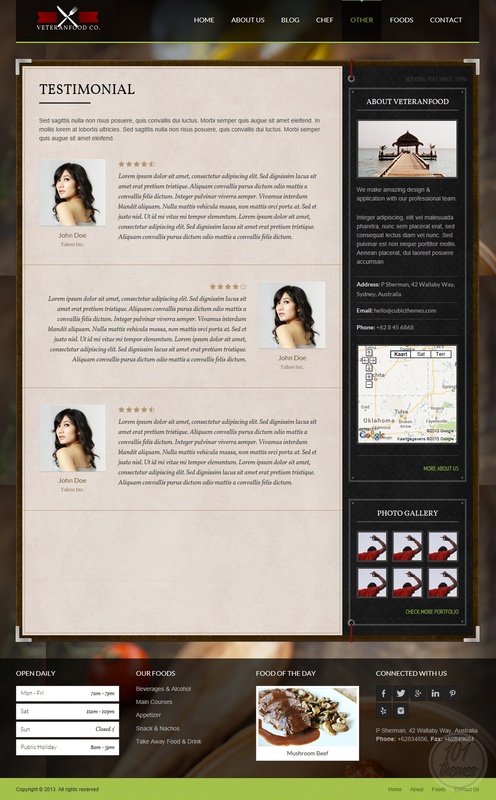 You will also be able to present testimonials from your satisfied customers on your website, and you will have a separate image gallery in which you can post many photos or your restaurant or your food. The contact section reveals Google Maps integration and a working contact form. 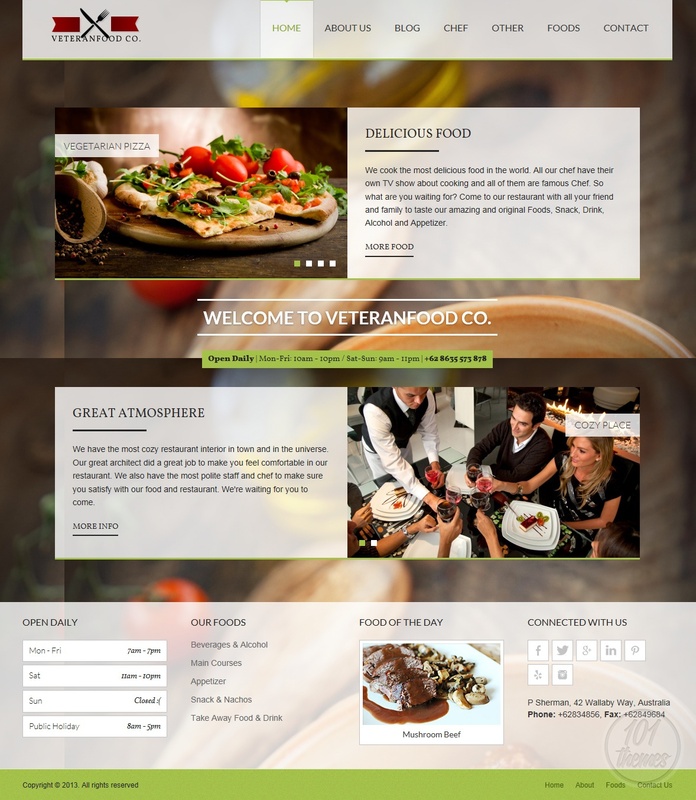 Veteranfood can be used as a perfectly nice responsive HTML cafe template, among other restaurant niches, and thanks to the responsive design you are guaranteed your website is going to look perfect no matter what device your users are using for seeing it.